You want to leave money to AARP Foundation in your will. You also want the flexibility to change your will in the event that life circumstances change. You can do both. Those who know my mother would say she's the last person they would ever expect to see struggling financially. She has an MBA, was a human resources professional for more than 25 years, and works harder than anyone I know. Yet at 58 years old, at the height of the recession, she was laid off and found herself unemployed. Watching my mother—my hero—struggle to pay her mortgage was one of the most heartbreaking experiences of my life. All those years she had taken care of me and lifted me up when I was down. And now, for the first time, she was looking to me for help. Fortunately, I was able to get her through those difficult years. But far too many seniors are facing these challenges all on their own. That's why I decided to leave a gift to AARP Foundation in my will. Because I know someday there will be another woman struggling just like my mom. It feels good knowing AARP Foundation will be there to help her get back on her feet. Renee has been supporter of AARP Foundation since 2009. She lives in Maryland and is proud to be a member of the AARP Foundation Legacy Society. Download our FREE Personal Estate Planning Kit and start planning today. 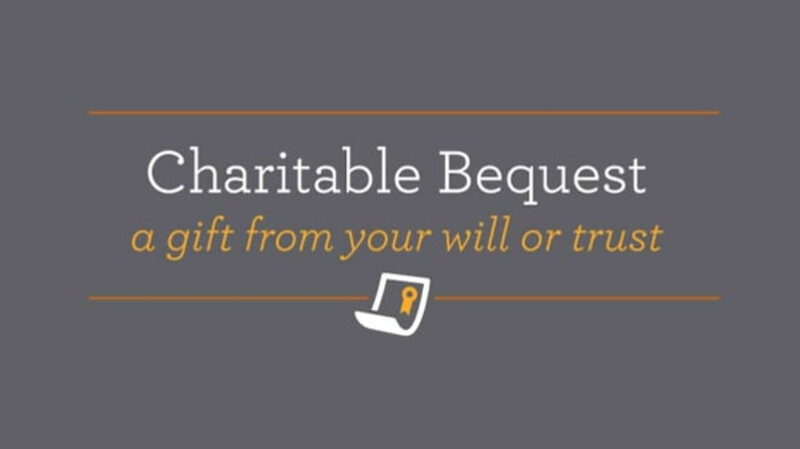 Contact Heather R. Sherman at 202-434-6120 or hsherman@aarp.org for additional information on bequests or to chat more about the different options for including the Foundation in your will or estate plan.